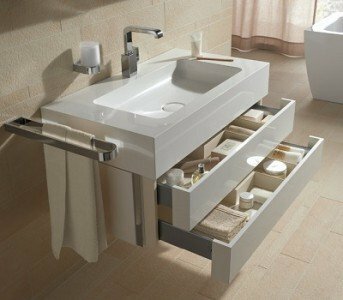 The furniture in the bathroom is not only a functional element. Granted, they help maintain order and allow organization of space, but they are also part of the arrangement, and must be adapted to it. Modern furniture is made of very different materials, which are supposed to give not only the perfect look, but also maximum resistance to mechanical damage or moisture. Aesthetic finishes in the full range of colours allow you to additionally give all furniture individual character, and taking into account the different types and colours of fittings and accessories, diversity is even greater. 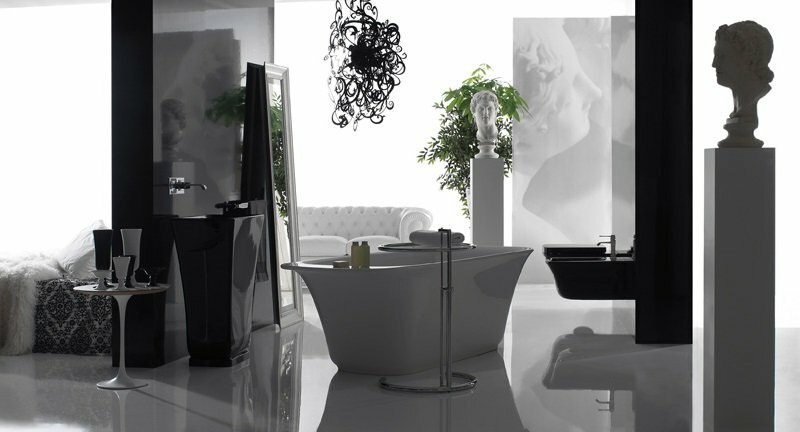 Modern luxury bathroom furniture are created in order to make the most use of bathroom space. They are designed with a specific plan and often dedicated to a bathroom with a defined space or equipment. In our offer you will find unique solutions to your bathroom. We are inspired by the original and unusual combinations of materials. 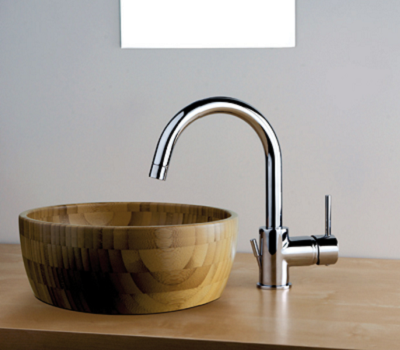 Wood, glass, or ceramic sinks add flavor to any bathroom. They are characterized by the best quality, they are resistant to damage and can be used for many years. 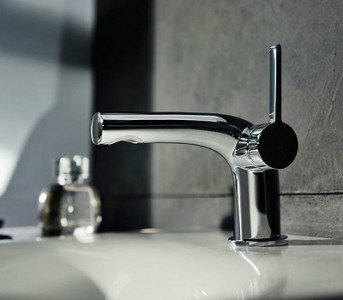 Carefully crafted taps, with a metallic sheen, certainly add charm to any bathroom. In our offer you will find all sorts of tap shapes, from the simplest to the most complex. The best quality materials from which they are made makes them resistant to rust ensuring effective appearance for many years. Bathroom furniture should not only look well but they should also be functional. Bathroom is often a small room, which is why it is so important to make its best arrangement, in order to maximize its space. Bathroom furniture offered by us, in spite of the original design and best quality materials, is characterised by capacity and usability. Fiora is a manufacturer of excellent, stylish bathroom furniture and accessories that provide better appearance and improved usability of any bathroom. The collection of furniture and accessories supplement each other, complementing arrangement, both classical and modern, not deprived some classical provenance. Globo is a brand of the Italian manufacturer of sanitary ware. It is one of the few brands that in their projects successfully combine modern trends in design and functionality, which are welcome by all investors. The entire range is divided into a series, for which one dominant shape or design convention is a kind of common denominator. Keuco It is one of the most famous manufacturers of bathroom premium. accessories. Innovative materials and an interesting design with a very simple, but useful design ideas are the basic advantages of their offer. The German company Keuco is one of the leaders in the Polish market in terms of prestigious bathroom arrangements. Paini It is one of the well-known manufacturers of sanitary ware and fittings. Projects of the Company are developed in Italy and they are divided into several collections, each of them is divided in the following order lines, for which one decorative motif selected by the designers makes the common element is in a very broad sense: it can be a color, it may be a shape, or a form of associated the function of the item. Carlo Frattini is an Italian company engaged in the production of sanitary fittings. A common feature of all the projects is their innovativeness. Futuristic shapes, moving away from the classical project for a very modern, complex spatial forms and the use of unusual materials with an extremely attractive design and quality make the offer of the company. Do not let your bathroom remain normal.